Ultrasonic liposuction or in short UAL[Ultrasonic Assisted Liposuction], is a non-invasive fat removal procedure that uses high-pitched sound waves to liquefy fat in a specific area before it is removed. UAL is a type of liposuction that is primarily used for fat removal in hard-to-treat areas such as the chin, neck, cheeks, knees, calves, and ankles. It usually serves as an addition to tumescent liposuction for patients who require more precise body contouring. 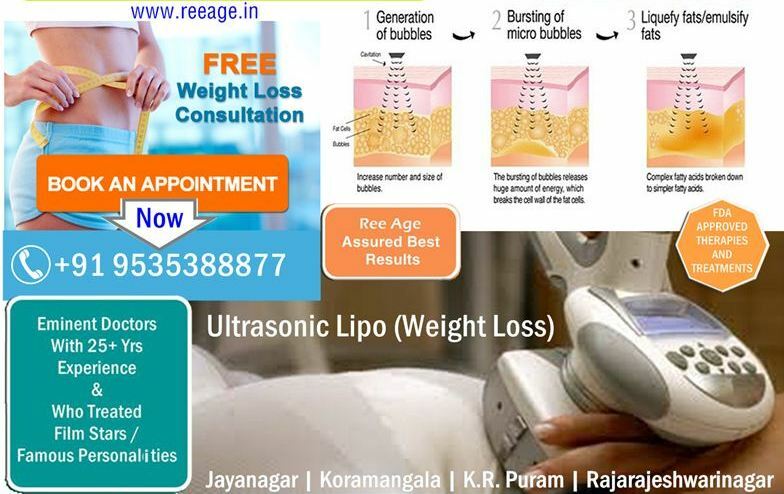 UAL uses ultrasonic sound waves to essentially “melting” fat deposits into a liquid state. When combined with the injected tumescent fluid, the liquid fat emulsifies, making its removal much easier. The first step in the UAL procedure is the injection of tumescent fluid, which is a mixture of anesthetic, salt water solution, and epinephrine, into the area being treated. This helps prevent fluid loss during the fat removal process and makes the deposits easier to remove. During ultrasonic liposuction, fat removal is initiated by sound waves produced by a sound wave generator [Electronic Instrument]. The ultrasonic waves are transmitted to a thin, vacuum-like tube, called ‘cannula’. When the cannula comes into contact with the fat cells, they quickly liquefy, and are easily vacuumed out. There are many benefits associated with UAL fat removal, including the ability to treat areas that have denser fat deposits and to remove larger volumes of fat at one time. Ultrasonic liposuction is often performed in combination with tummy tuck or body lift surgery, which are meant to get rid of excess, baggy skin. The liposuction recovery period can last anywhere from a few days to a couple of weeks. Talk to your doctor/surgeon to determine how much time you should take off of work, and what you can expect during the healing period. Since large amount of heat is created during ultrasonic liposuction, there is a risk of burns, blistering, and scarring. A UAL surgeon with liposuction experience will know how to avoid this problem. Care should be taken that, a condition called ‘seroma’, which occurs when the body tries to fill the void created by fat removal by producing excess fluid. This fluid must be removed continuously with a syringe until the cavity has closed. After ultrasonic liposuction, side effects such as bruising, swelling, and discomfort are common. What Areas of the Body Does UAL Treat? Ultrasonic liposuction can be used in all areas that traditional liposuction treats, but it works especially well on areas that require more precision. The stomach, midsection or “love handles,” male breast tissue, chin, and neck all respond well to UAL, as do areas that have been previously treated with liposuction but are in need of further contouring.